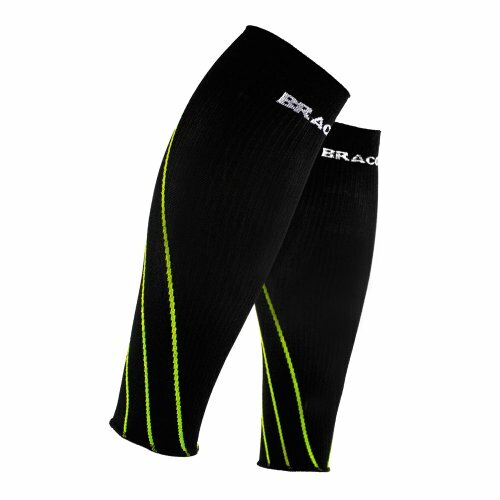 Bracoo's Gradient compression leg sleeve effectively drives blood from the lower limb back to the heart for better circulation. 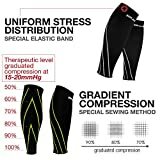 But why compression sleeves? 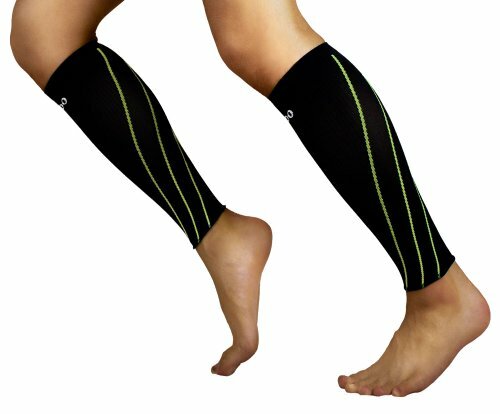 By applying graduated compression to the specific muscle groups, blood circulation is increased and muscles contractions are protected. 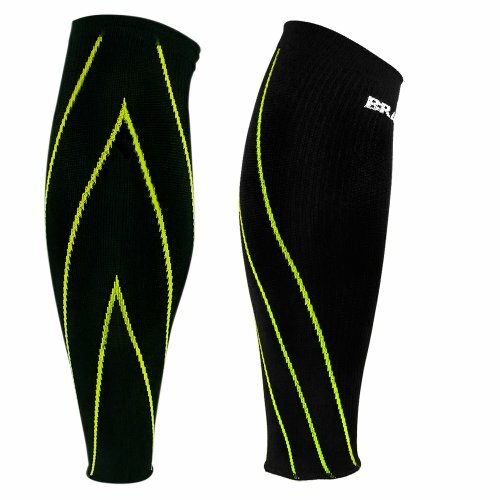 The risk of an muscle injury is greatly reduced with the help from compression sleeves. 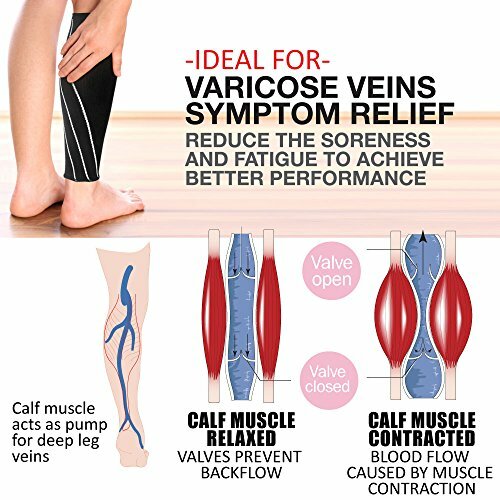 Also, the increased blood circulation enhances the performance of the athlete and boosts the recovery time, providing a strong support for competitive athletes on the off the court. 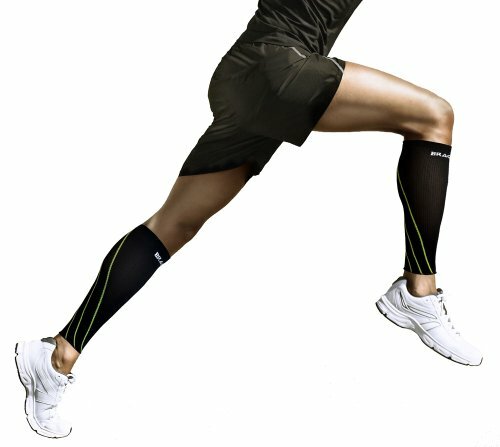 While exercising, graduated compression will reduce the soreness and fatigue in your leg muscles to achieve better performance. 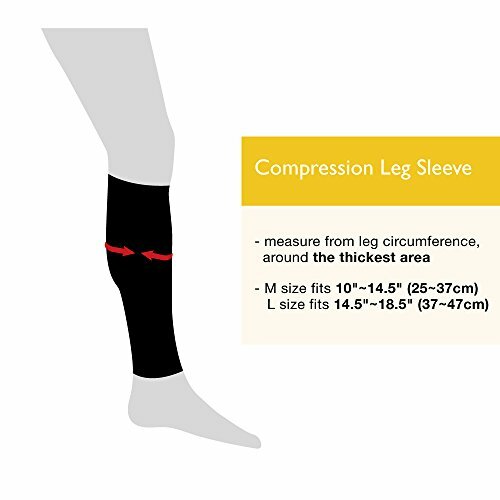 Engineered based on research and scientific studies, graduated compression effectively distributes adequate compression throughout the legs to balance your muscles. 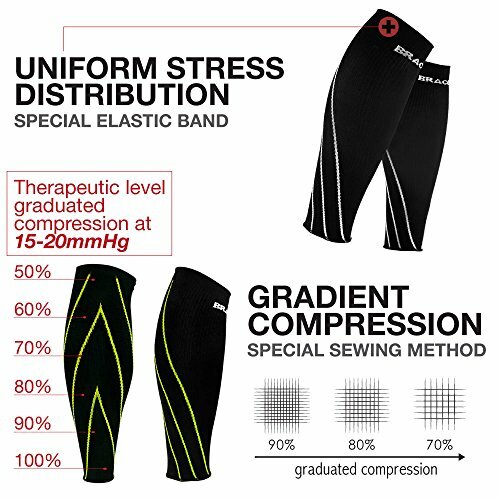 With the appropriate compression, time for recovery is reduced and your muscles are ready for takeoff when you need them the most. 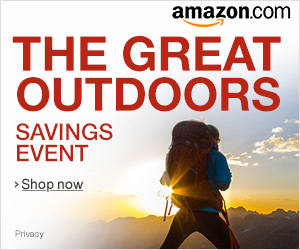 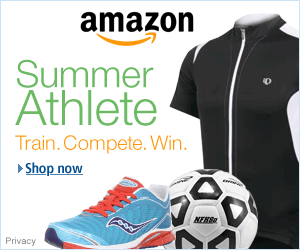 Made of ultra breathable fabric to allow maximum wear time without skin irritation. Specially design leg opening leaves minimum mark on the skin even after long wear time. 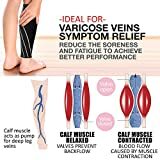 Runners Calf Compression Sleeve(Pair) – Shin Splint and Calf Pain Relief – Men, Women, Athletes and Jo..